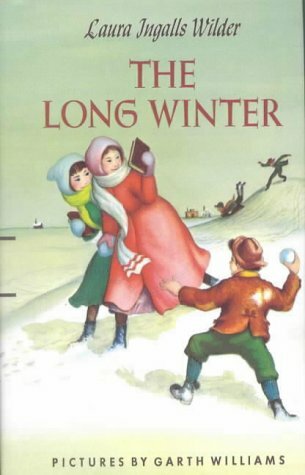 The old Indian's warning said the coming winter would be hard and long, so Laura's father moved his family from the claim to his house in town. But when winter came, the blizzards raged and screamed over the town. There were no trains. Laura's family lived on coarse brown bread. They burnt hay; and Ma made a button lamp that gave a tiny light.